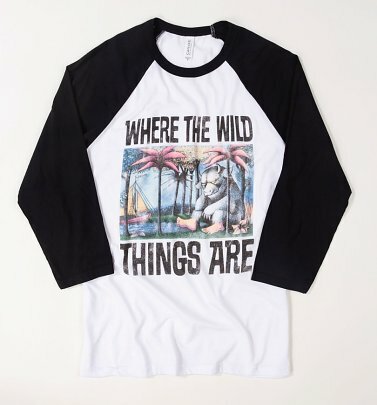 "There should be a place where only the things you want to happen, happen" - like finding awesome official Where the Wild Things Are T-Shirts! The 1963 children's picture book by Maurice Sendak is considered a true classic, telling the story of little boy Max whose bedroom is mysteriously transformed into a jungle environment and he ends up sailing to an island inhabited by malicious beasts known as the 'Wild Things'. Our Where the Wild Things Are tees are adorned with the gorgeous, exquisite illustrations that make the book so memorable. If you love the book or enjoyed Spike Jonze's 2009 big screen adaptation, go wild for our clothing, from unique brands like Out Of Print and For Love &-money.